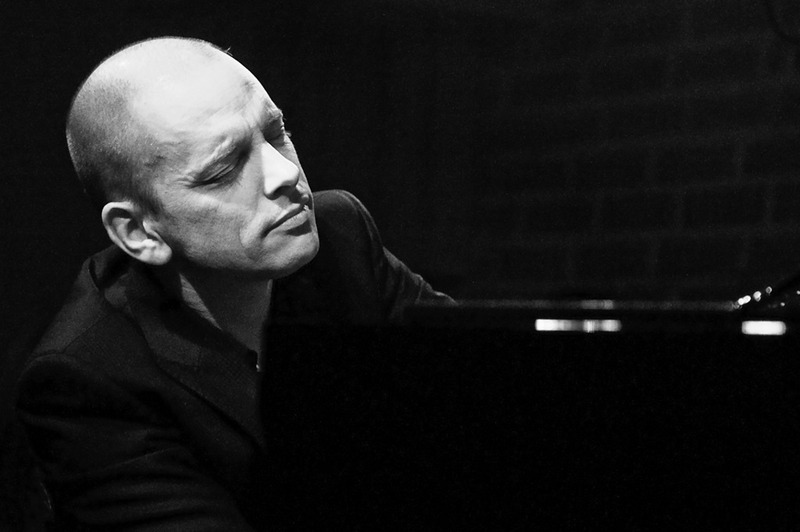 Over the years I have seen or been involved in many solo piano concerts or recordings, but few have been so touching and spiritual as yesterdays concert by Tord Gustavsen at Madrid’s Clamores club. I know Tord since his time with Silje Nergaard and have followed his music since then, as I believe that he is one of the most unique and talented young pianists around (together with Jef Neve, Tigran and a few others). 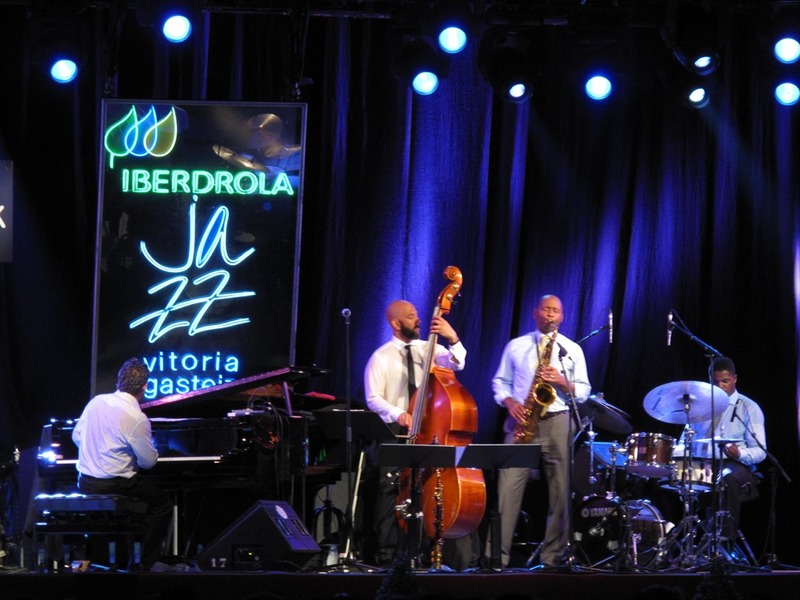 He opened the evening with a suite based on ‘Tears Transforming’, which he originally recorded with his trio on his second ECM album, The Ground. And this suite immediately showed what Tord is all about – a pianist of subtle tones and great imagination and a composer, whose main influences from the European tradition seem to be hymns and from outside of Europe gospel songs and blues. He followed that with an unnamed piece of the same qualities and a bit more tempo, then went into ‘Where we went’, which was followed by a beautiful version of an Norwegian hymn. ‘Right There’ is a new piece which he just recorded for the new ECM quartet album, which will be released in January 2014 – and it is a beautiful and deep meditation with all the qualities that make Tord such a different and amazing musician.’Silent Spaces’ and a Norwegian lullaby closed the evening before an up-tempo encore that made everyone smile with its uplifting theme. Such great music performed by a very nice, intelligent and soft-spoken man, only disrupted by a bartender who constantly made noises while the performer gave his best. It is a lack of respect for the artist and the music if you can’t wait to prepare the bar for the next event and distract the audience form the pleasure of listening. A club with the tradition of the Clamores should know better !! Very disappointing and annoying. Music and Food could be the theme for this festival – always a great programme in a relaxed atmosphere and always great food – for example at Sagartoki, which has for a few years now been voted the restaurant with the best Tortilla de Patatas in Spain ….and has some Pintxos of the highest quality. We joined the festival on the second day to get to see Bill Frisell with his Big Sur sextet, but I started the music day with Craig Taborn solo – a collection of complex improvised musical miniatures: dark and beautiful, needing all the listeners concentration not to miss the richness of this music. Opening for Frisell was Ibrahim Maalouf – not with his usual group, but with a band put together for a project that is a homage to Louis Malle’s film Ascenseur pour l’echafaud and to Miles Davis. He has a great combo to record and perform this cinematic music, featuring Mark Turner on sax, Frank Woeste on piano, Larry Grenadier on bass and Clarence Penn on drums. Bill Frisell came on stage at past 11 pm and started to perform the music of Big Sur with a long suite of several pieces from the album, which has the same line-up as the concert: Carrie Rodriguez and Jenny Scheinmann on violin, Eyvind Kang on viola, Hank Roberts on cello and Rudy Royston on drums. The compositions are so complex, but still with a simple beauty and a quietness that revokes images of the landscapes the music is based on, that it was for many people to difficult to listen to it at that time of the night and they left – a programming mistake, Ibrahim, whose music was much more powerful and energetic, should have played last. Anyway, It didn’t take anything away for me and I enjoyed every second of the concert. The second day started for me with Ben Williams Sound Effect, the band of the young bass player which featured Taylor Eigsti on piano, Markus Strickland on saxes, Matt Stevens on guitar and John Davis on drums – a great jazz gig with some incredible playing, most of all from the leader and Taylor, who is a young pianist I truly like. 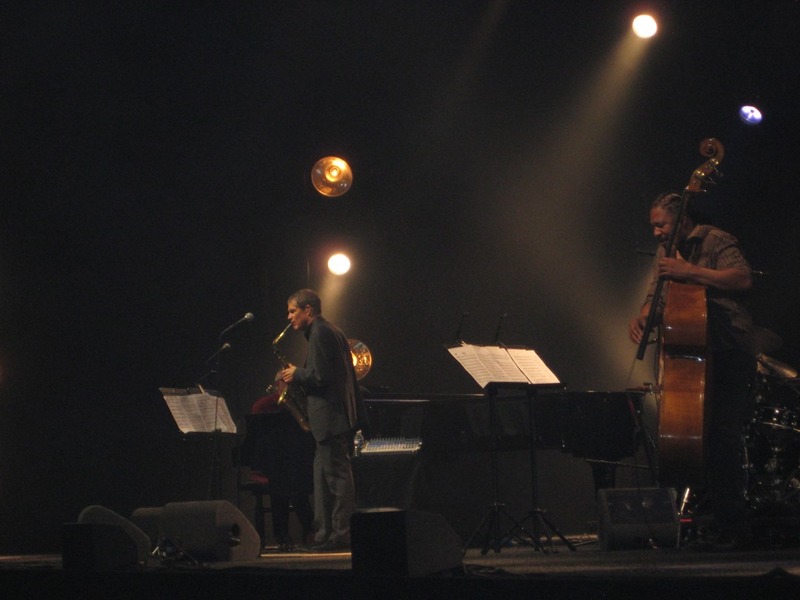 Jacky Terrasson was the first on the main stage that day – performing the music from his album Gouache and he brought with him a bunch of special guests like French jazz legend Michel Portal and Cecile McLorin-Salvant, a new jazz singer which is causing some waves at the moment. And she deserved the applause she got – a great voice and amazing control. All in all a very good concert. Which was followed by a real great one form Melody Gardot, who so far never disappointed me with her live concerts …. maybe this time she talked a bit too much, but overall she is a great live performer with great songs and a really good band. The repertoire was mainly from her latest record The Absence, but there was some of the earlier two recordings, which I think are stronger. And she performed 2 new tracks, which got more of a blues feel and will be on her new album .. great material and I am looking forward to the new record once it is ready. Thursday – pianist Francesco Tristano, whom I had seen so far only once in a more classical context at the Yellow Lounge in Madrid, performed in the Teatro Principal with Bachar Khalife on percussion and Pascal Schumacher on vibes and delivered the best concert of the afternoon series: a surprising subtle, but powerful and groovy music, with minimalistic tendencies and Francesco playing the role of the bass as well as the pianist – from supporting the soli of Pascal to improvising on the piano himself, he moved on his keyboards effortless between the two roles. Fantastic! And went to see Chick Corea and the Vigil – a group that bridges somehow what Chick does with Return To Forever and what he does with his acoustic bands. I love Chick and to hear new music by him is always a pleasure and the group he has to perform these new songs is pretty incredible: Christian McBride on bass, Tim Garland on saxes, Marcus Gilmore on drums and Charles Altura on guitar. 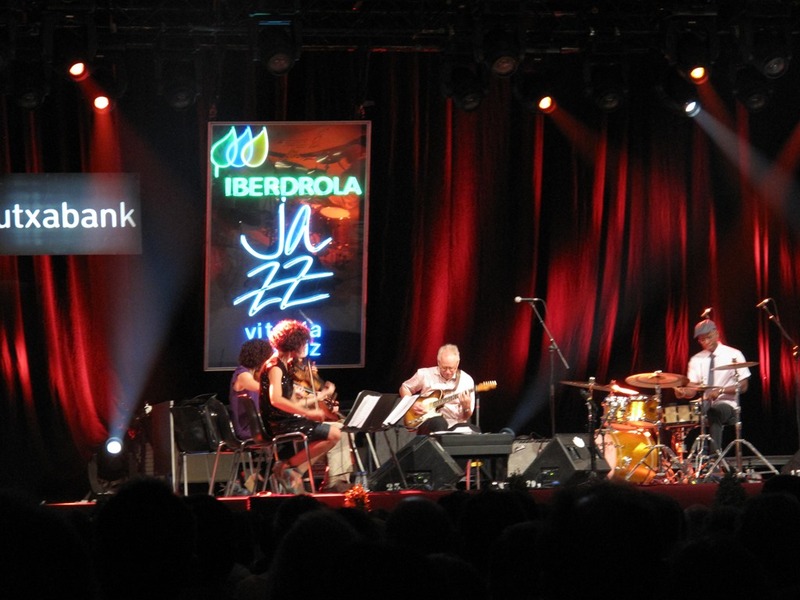 Paco de Lucia and his group were the last act of the festival and the one the packed auditorium was waiting for. And rightly so – what Paco can do on his instrument is beyond words to describe, his group is tight and they perform their Flamenco with such passion and emotion, it is impossible not to be touched. And when Paco and his group were joined by Chick Corea at the end of the night, it was one of these magic moments that happen when great players jam and are having a good time. Unforgettable. Better go on a diet now … for the food only, not for jazz. 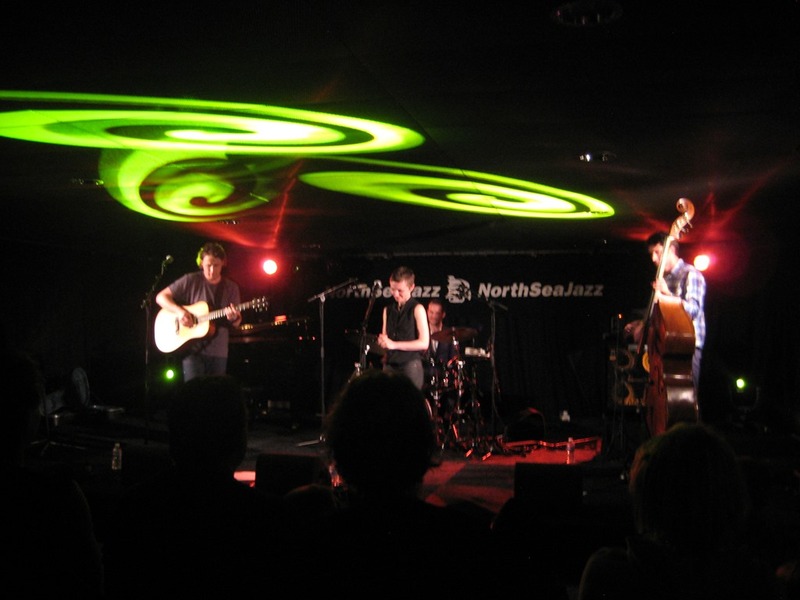 The great North Sea Jazz Festival for me is like a wine tasting – all the great names are there and one gets a bit of everything .. and walks home a little tipsy with Jazz. Friday – I started with Medeski, Martin & Wood, which were as powerful and inventive musically as ever, then went on to see a bit of Laura Mluva, which did disappoint me. Laura got a great voice, but the live performance lacked in power. She did a Bob Marley tune when we walked in, but the audience didn’t sing along as she wanted, it was probably too early in the show to do so – then she followed that with two ballads with her on electric piano. Nothing special and then two more up-tempo songs, which actually were pretty good. Next on the same stage Hiatus Kaiyote and that was a great show – powerful and edgy modern soul and full of surprises. A band to watch and a singer with huge talent. We followed this up with the European Sunrise band, which are the participants of Take Five: Europe II (see my earlier blog) and it turned out to be the best gig of the day: the group of musicians has formed into a proper band, played tight and with fun. The compositions by each of the members now sound really great and have developed in the 3 previous performances into music all are identifying with. Especially the pieces by pianist Marcin Masecki and trumpeter Arielle Besson stood out in a performance of very high quality. Had a quick chat with Diana Krall before moving on to another OKeh act performing: A great show to end the night was the Quartette Humaine by Bob James and David Sanborn, featuring Steve Gadd and James Genus – a beautiful acoustic jazz concert with some incredible soloing and great ensemble play – this project has developed from a recording concept into a great live show. Saturday – a more relaxed day with less shows to attend and therefore a chance to listen to the full concerts – like with E.S.T Symphony, which are orchestral arrangements of the music by Esbjorn Svensson. Beautiful and interestingly performed by the The Hague Royal Conservatory Orchestra with ex-e.s.t. members Dan Berglund and Magnus Ostrom and several special guests. It showed how great the compositions actually are, how easy to remember some of the melodies and how great Hans Ek’s arrangement are. Amazing!. As Chick Corea will perform as well in Vitoria, the next stop in the summer festival journey, I passed on him this time and went to see the unique Kat Edmonson, who performed for the first time at North Sea, but surely not for the last, as her audience sat mesmerized by her great performance and amazing voice and the really good interplay of the band. A great debut at the festival which was given a standing ovation at the end. Then off to Dee Dee Bridgewater and Ramsey Lewis – Dee Dee as always in stunning form and singing faultless and full of emotions. Ramsey plays the piano still like the master he is, but … the rest was a bit …cheesy might be the right word. Why on earth did they bring a keyboarder with them to fill in spaces with brass and other sounds .. unnecessary. Besides for Dee Dee a disappointing show. Last on Saturday were Michel Camilo & Tomatito and as usual they didn’t fail to give the audience great music and a great show and kept them in the packed room until the end- around 1:30 am! Their understanding and musical harmony is so amazing, no wonder people didn’t want to go home. Sunday – we started with seeing a friend of ours, Javier Limon who performed with local act Nynke, as he produced her last album and played guitar on it as well. A Frisian language performance act with strong world music influences – Interesting, but not really my cup of tea. Said Hi to Herbie Hancock after that, who was performing with the Metropol Orkest under Vince Mendoza, who had arranged some of Herbie’s music for Orchestra …. Vince is the best and it showed! A little bit of Calexico (jazz/rock.folk mix) and then off to Marcus Miller, who is always worth checking out and his funky jazz group raised the roof again .. then Branford Marsalis whose quartet is probably one of the best jazz combos around nowadays – his set was powerful, improvisational and fun – all a jazzhead can ask for! Jose James is one of the most exciting young male vocalists and he showed in his gig why: great soul and r&b influenced jazz songs, a great voice and a great performance with a band that is getting better and better – a well deserved full house and standing ovation at the end.Then the Robert Glasper Experience – as much as I like the album, the show was not good – thanks to the drummer it had some amazing grooves, but the rest was a bit old fashioned in sounds and didn’t really get me. Pity, I had looked forward to that one … So it came to Sting to save the day …but the venue was so packed and hot that I passed on going inside, even so Branford was going to perform with him. I do like Sting and his music, but after 3 days of running around it was just a bit too much asked …. 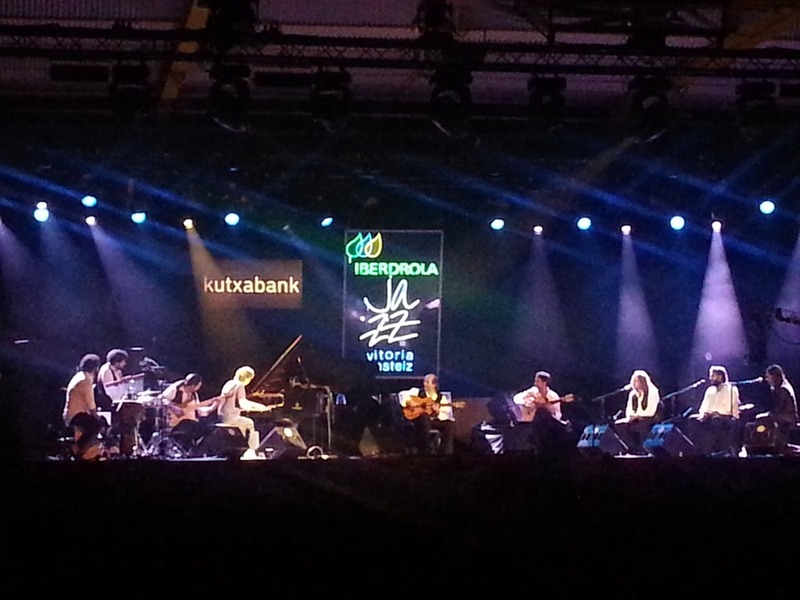 North Sea Jazz 2013 – a great three days of jazz tasting …. happy for some discoveries, content with the known and exhausted … all in all a success.